After ALS took the use of his limbs, Francis Tsai learned how to draw with his eyes. It is evident in Francis Tsai’s work that he loved science fiction, textures, and graphic shapes. What isn’t obvious is that he drew using only his eyes. 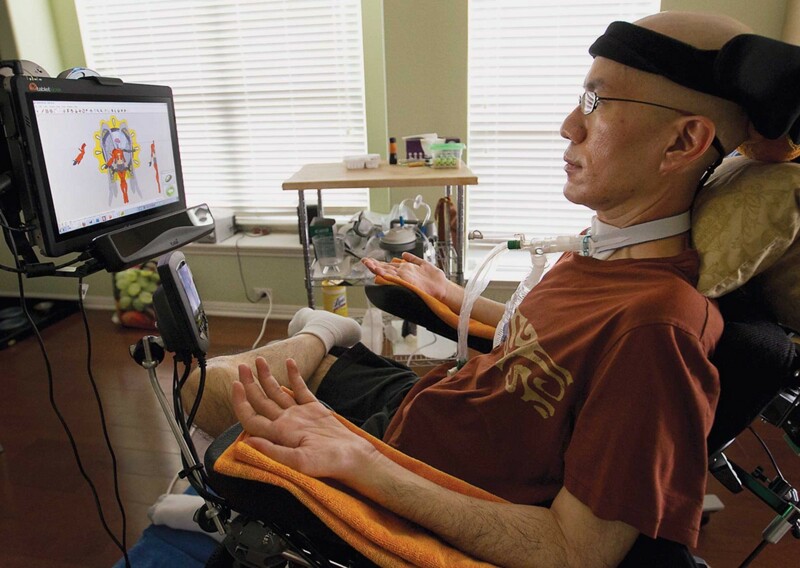 Tsai, BS ’90, MAr ’93, died April 23 after struggling with Amyotrophic Lateral Sclerosis (ALS), or Lou Gehrig’s Disease, for more than five years. During that time, he never stopped creating art. Please view the full story on the Alcalde website.